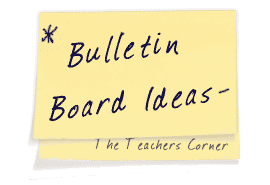 Our Teamwork Bulletin Board Ideas page will provide you with great resources for a number of teamwork related topics. Our bulletin boards will help you integrate various activities into your daily curriculum. Ideas within the teamwork bulletin board pages include resources for helping develop teamwork within your students. Through an interactive writing lesson, student create a document entitled, "Our Promise." This promise includes the behaviors and expectations for the classroom. (eg. be respectful, follow directions, etc.) 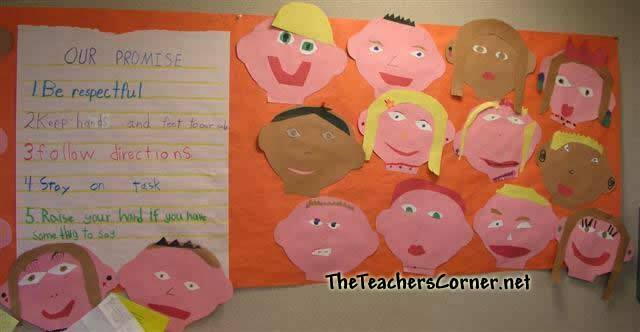 Students then create a self portrait using construction paper to display around the document. Have a bulletin board with your favorite team(s). It might be the high school's state champion football team, or a girls basketball team, or a professional team. Give information about the team, like their stats, and then have a saying that says, "Teamwork makes the Dream Work"